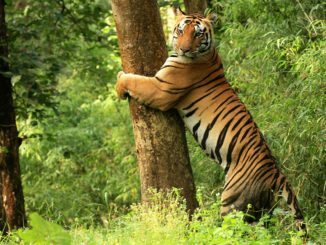 Panna Tiger Reserve, or the Panna Nationa Park, as it is popularly known, is located in Panna and Chattarpur district of Madhya Pradesh. Standing over an area of 542 sq. 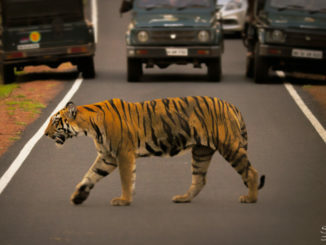 kms, Panna is India’s 22nd Tiger Reserve and fifth in Madhya Pradesh. Panna Tiger Reserve lies right beside the Ken River flowing through central India. It is merely 57 KMs away from Khajuraho, the world heritage center renowned for its sculptures. Panna Tiger Reserve was bestowed with the Award of Excellence in the year 2007. 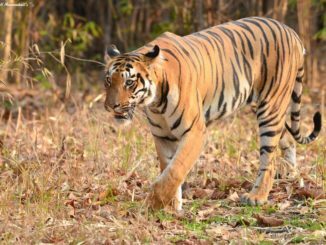 This honour came after the Ministry of Toursm of India found that the Tiger Reserve was managed and maintained most efficiently among all national parks of the country. This accolade has contributed much to increasing tourist inflow into Panna. Regular visitors, people from surrounding areas and the reserve staff accredit Mr. R. Shreenivasa Murthy, the then forest officer of the area for this incredible feat. Afterall, the park received national honour under his leadership. The overall climate of the place varies greatly season to season. It receives scorching heat in summers, cool pleasant winds in spring and heavy rainfall in the monsoon season. The downpour ensures that Panna remains covered in thick lush green vegetation throughout the year. Nature lovers, wildlife enthusiasts, history geeks. The park has something of great value for all. The Ken River flowing right through the middle of the reserve not only adds to the cool serene vibe but also creates some stunning waterfalls on its journey to falling in the valley. Numerous sights of historical significance exist within the reserve area. Here, you can catch a glimpse of human civilization as old as from the Neolithic age. Tall standing deciduous trees are permanent denizens of the reserve. 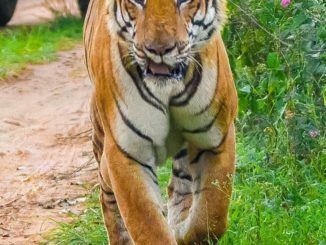 They make this place a safe habitat for not only the Indian tigers and leopards but also several other small wild animals such as the chital, chinkara, sloth bear, nilgai etc. 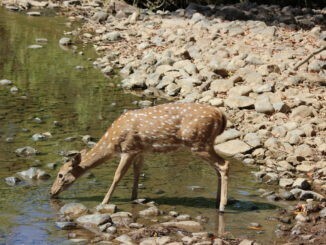 Panna National Park was officially established in the year 1981. The Government placed it under the umbrella campaign of Project Tiger in 1994. That’s when it became the 22nd Tiger Reserve of the country. Gangau Wildlife Sanctuary which saw its official creation in 1975 was also added to the reserve area. 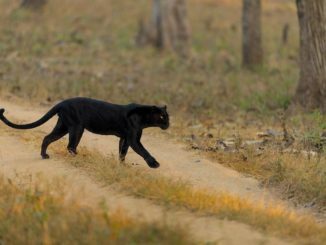 The forests of Panna used to be hunting retreats of the erstwhile rulers of the Panna, Chhatarpur and Bijawar princely states. Today, the same forests are instrumental in protection and preservation of nature and wildlife. The year 2008 brought on what was to be a dismal state and poor reputation for Panna. The reserve lost all its tigers to poaching. 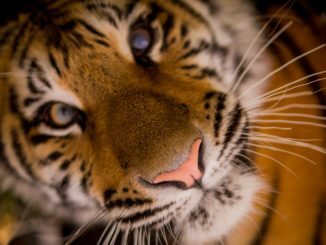 It was saddening news to wildlife enthusiasts and tiger lovers everywhere. Six year ago, there had been more than forty tigers sprawling around in the reserve. 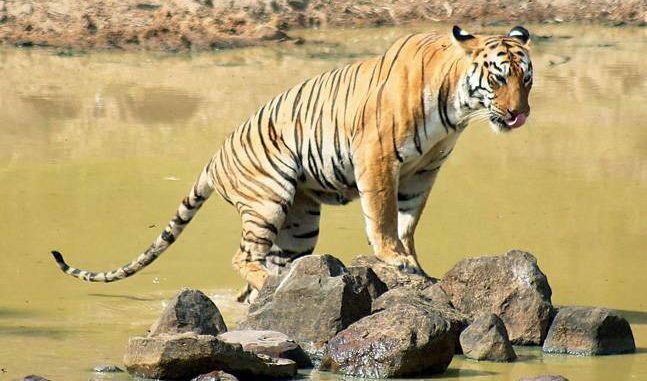 To restore Panna Tiger Reserve to its former glory, a tiger relocation programme was brought into execution. Under this effort two tigresses and a male tiger were translocated to Panna. 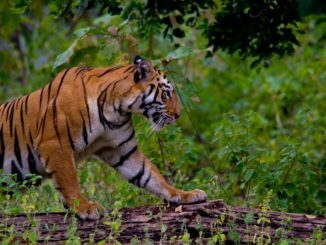 The tigresses came from Bandhavgarh and Kanha National Parks while the male was resident of Pench Tiger Reserve. 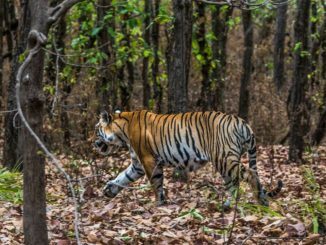 These efforts came to a sudden halt when the male tiger T1 began displaying homing instincts and sauntered back towards Pench. It steadily moved back to its home crossing multiple human dominated landscapes though no conflict was ever reported. T1 was brought back to Panna after a month of tracking and following. On its second visit, the tiger settled well, established territory and began mating. Four new cubs arrived in April 2010. 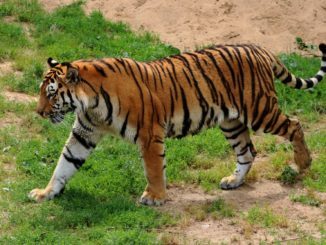 The tiger population has been on a steady rise ever since. Forest Cover: The dry and hot climate of Panna has given rise to dry Teak and dry mixed forest that grows amply and suitably on the shallow Vindhyan soils. Miscellaneous dry deciduous forest interspersed with grassland areas dominates the vegetation cover. Open grasslands, open woodlands and riverines with tall grass blades are also present. 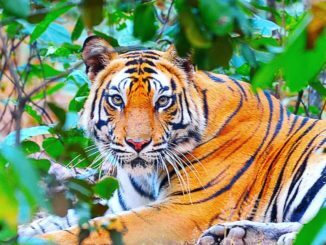 Mammals: Panna tiger reserve is the most well managed, well-kept, naturally suitable and an ideal home to diverse wildlife varieties. 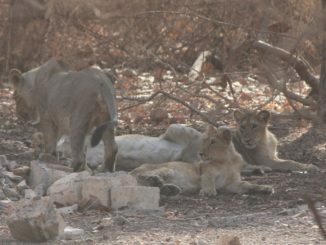 There exist many different kinds of flora and fauna here including sloth bears, cheetals, chinkara, nilgai and vultures. Panna is the residence of the most majestic of big cats – the Royal Bengal Tigers (Panther tigris) and his fellow leopards (Panthera pardus). You can also find hyena, caracal and some other smaller members of the cat family here. Birds: Panna skies are home ground to around 200 varieties of feathered beings, including the migratory ones. You can meet species like honey buzzard, king vulture, blossom headed parakeet and hawk-eagle. Their chirping and antics add to the playful atmosphere of the reserve. Reptiles: Panna’s list of flaunt-worthy inhabitants also includes many snake varieties including the great Indian python. Madla and Hinouta are the two major tourist entry zones in Panna. They welcome tourists between 16th October and 30th June every year. To make the tour experience worthy and memorable, the jungle authorities provide jeep facilities for touring around and catching glimpses of Panna denizens. You can also take a look at the aquatic creatures and other reptiles near the lake in a boat ride which usually lasts for an hour. The Elephant Safari is another tempting option available. You can hitch a ride on the elephant’s back and tour around the place to meet wild members of the Panna family from close quarters. If you happen to be of the highly adventurous kind, Night Safari awaits you at the Gangau region for a challenging and adrenaline-inducing trip. Timings: The safari services open twice a day, every day at Panna. During the chilly winter days, you can take up one from 6.30 to 9.30 in morning or 2.30 to 5.30 in the afternoon hours. In the scorching summer heat, the safari opens 5.30 to 9.00 in the morning. In the afternoon, it is available between 4.00-7.00 PM.